Beautiful, large erect shrub flushing yellow in late winter-spring. 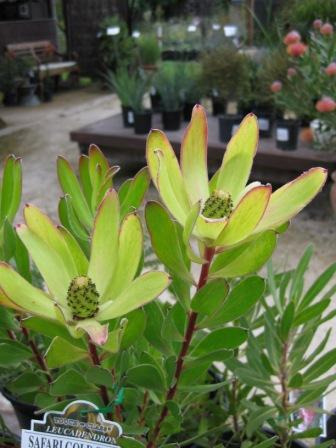 Hybrid between Leucadendron strobolinum x Lcd. laureolum developed in New Zealand. excellent landscape shrub and cut flower. Must be grown in full sun for optimum flowering. Do not add PHOSPHORUS fertilizers.